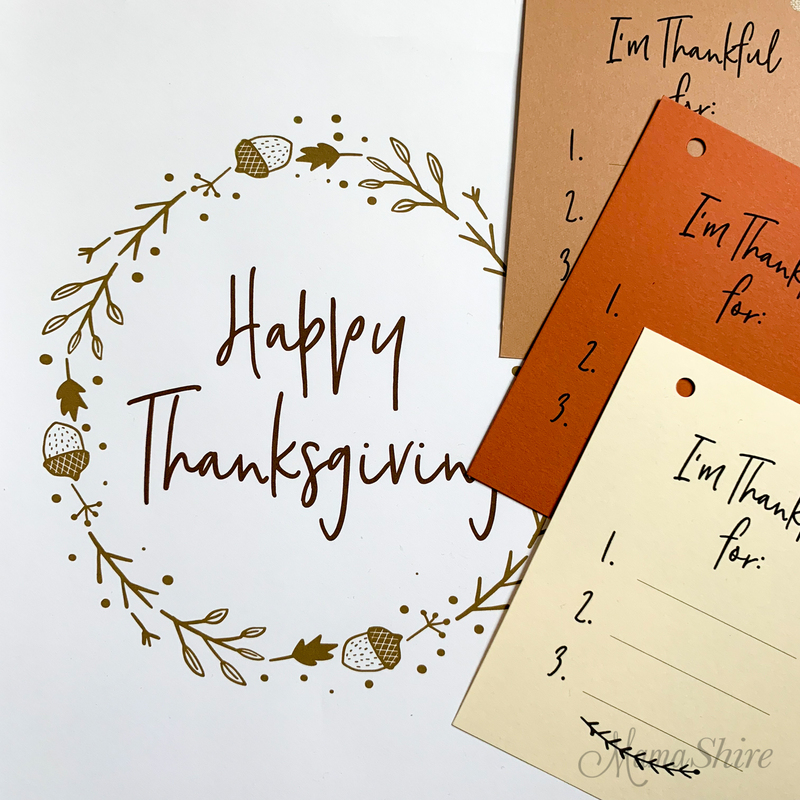 I created these free Thanksgiving printables for you to quickly add a sweet and simple festive touch to your holiday decor. There’s a Happy Thanksgiving sign, an I’m Thankful garland, and a set of Thanksgiving place cards. These can be printed out on cardstock and you can get the files in my resource library. 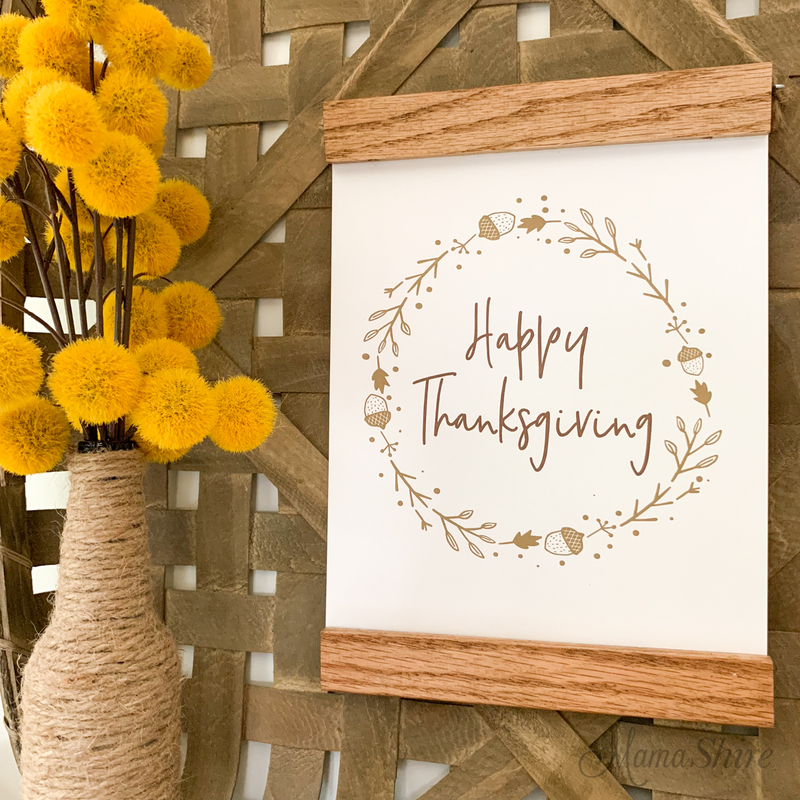 The Happy Thanksgiving sign will fit in an 8″ x 10″ opening or you can display it clipped to a frame or in a magnetic wood frame as shown above. 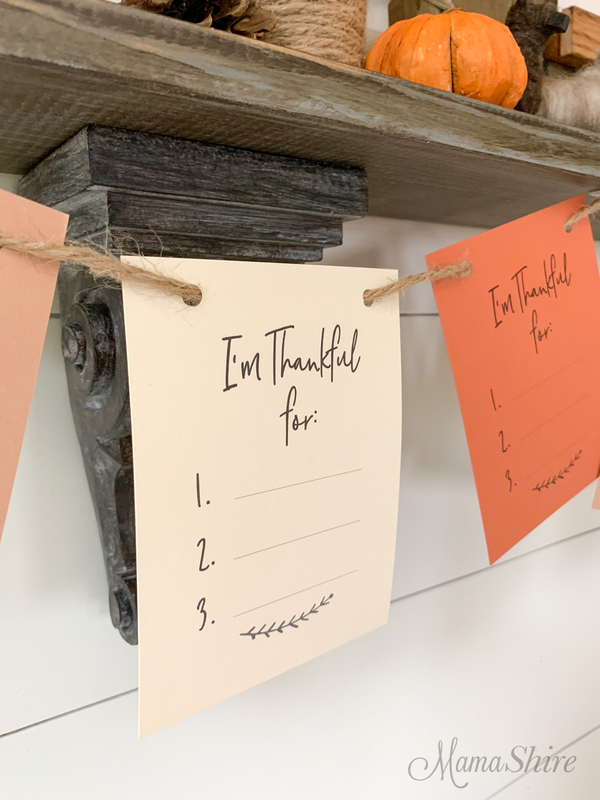 The printable garland has a place for you to record what you are thankful for and can be a sweet keepsake to be added to each year. Write your name and date on the back of the cards so that you can preserve the memories. The garland is super easy to make. 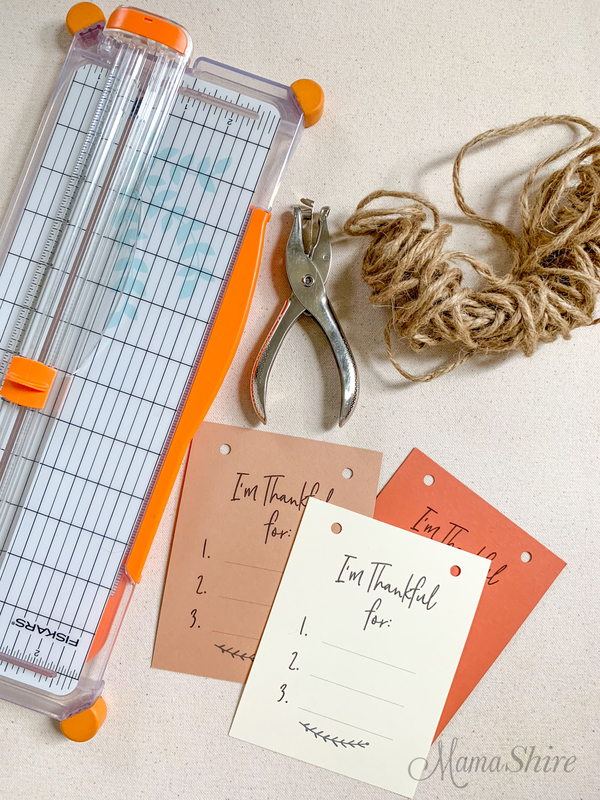 Use a paper cutter to cut each sheet in half vertically and horizontally. Next use a hole punch to punch holes where the guide dots are at the top of the card. Take twine and weave in and out through the punched holes. 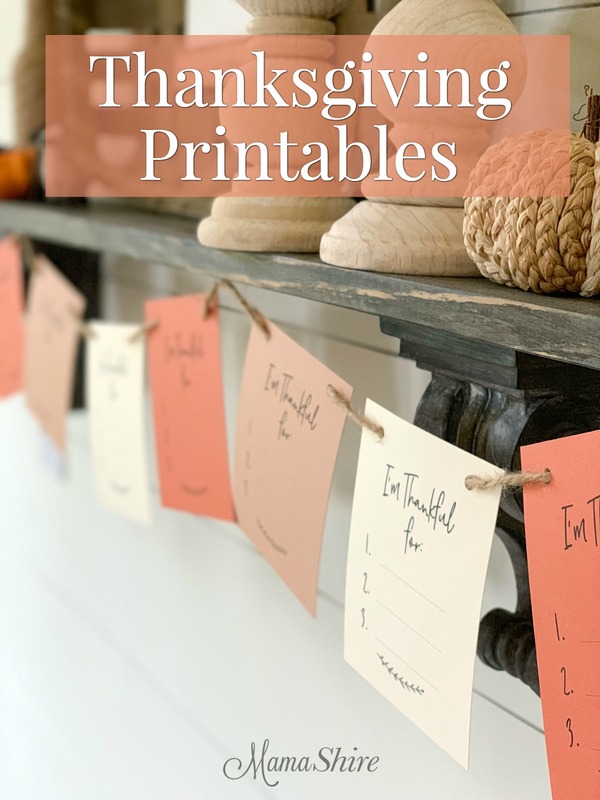 The set of printables also include a sheet of place cards that coordinate with the other two printables. Cut these sheets in half vertically and horizontally like the garland and then fold them in half. 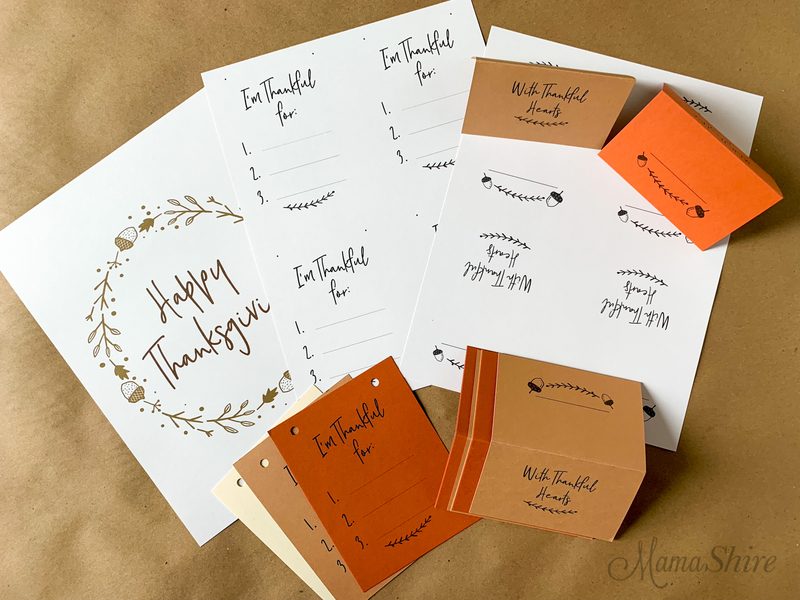 I hope these printables add a delightful touch to your Thanksgiving! 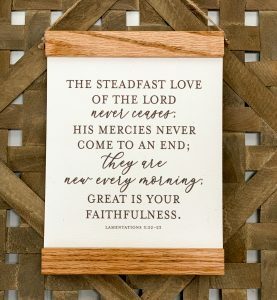 To save this for later be sure to pin this to your favorite Pinterest boards!